Most ACC-organized events offer online booking as an option, and bookings are made directly on the Event’s information page. 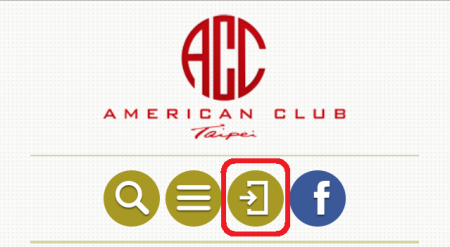 The basic approach is first to log in, then locate the event’s page in the website. Once on the event page you can book the number of places you want, and provide us with information about your event attendees. 1. Log in to the ACC website. 2. Locate the event you are interested in and click on it to launch the event page. 3. 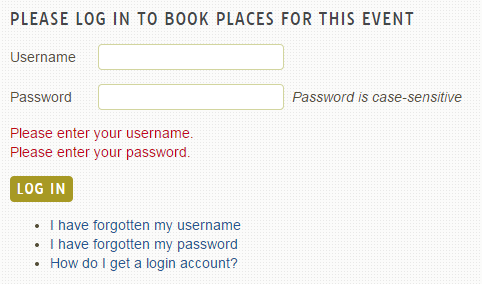 An event which offers online booking will show a “Booking Starts” date. Booking becomes available on the event’s page at the date and time shown. 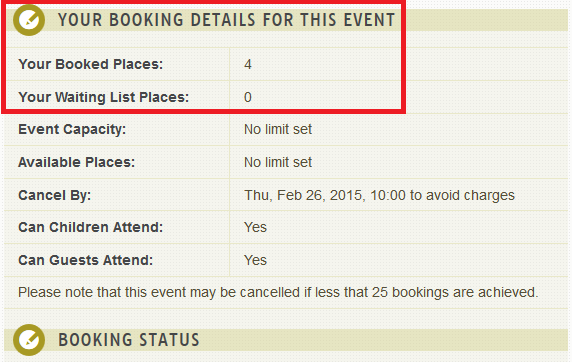 When booking has started you will see a “BOOKING” button at the top of the event page. Clicking on the “BOOKING” button takes you to the booking section of the page. 6. Once number of places is selected click “MAKE BOOKING”. Please note that clicking this button means you will be billed for any associated cost unless cancelled prior to the event’s cancellation cut-off date. If the event has allocated table seating you will also need to select a table. 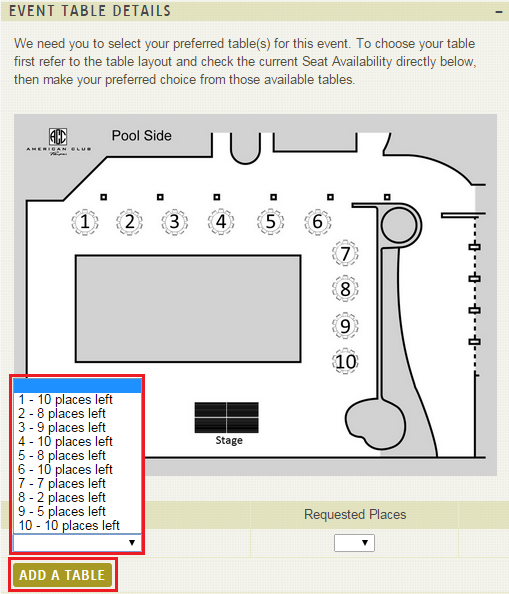 The booking section will include a numbered table diagram with a “Select Tables(s)” dropdown list below which shows how many places are available at each table. Select your preferred table and tell us how many places you want at that table. If needed you can select more than one table. 7a. Please note that while we will do our best to allocate your group to the table(s) you have selected we reserve the right to change your table allocation where that becomes necessary. 9. If your booking was successful and you have chosen to be notified by email and/or SMS about your bookings you will receive confirmation of your place booking (see section below about Booking Notifications for more details about the automated messages you will receive). 10. If the booking was not successful for any reason please amend your booking as necessary (e.g. reduce the requested number of places) and try again. If you still experience problems please seek assistance from ACC staff. 11. Above the Booking Status message you will now see 2 new items have been added to the table of event booking information – ‘Your Booked Places’ and ‘Your waiting List Places’. Any time you return to an event page that you have already booked you can quickly check exactly how many places you have booked by looking here. 12. Directly below the booking status message you will see the following section where you provide information about your attendees for the event. 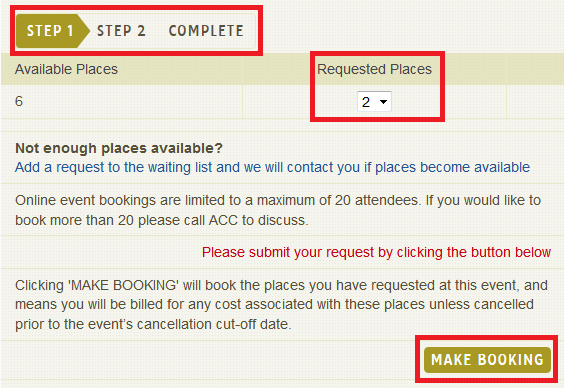 1 The booking progress indicator now shows we are at ‘step 2’. 2 One ‘attendee’ line has been added for each place you have booked. 3 A comment box is included so that you can provide any other information you feel we need to know about your booking. 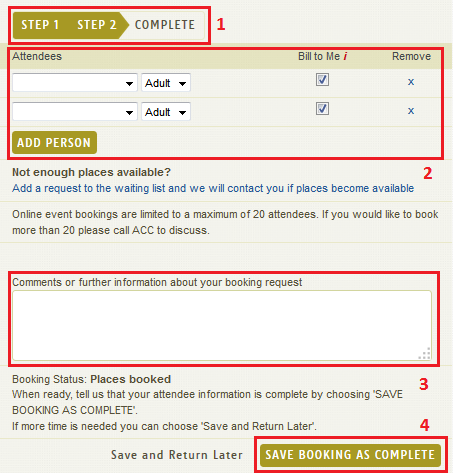 4 Once the requested information is filled in your booking can be saved as ‘COMPLETE’, or if necessary you can save it and return later before completing the process. Each family member can be selected only once, but ‘Guest’ can be selected multiple times. For each attendee, select whether he/she is an Adult or a Child. Please check the event information section to determine the maximum qualifying age for Child status. 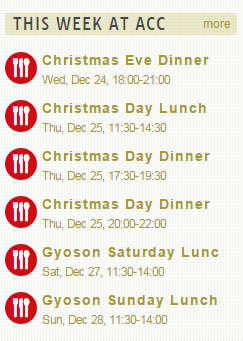 Please note also that some events are not open for Children, and for these events you will see only the Adult option. There is no need to provide us with a name for your Guest attendees, but if you wish you can provide us with this information in the Comments box. Please note that this option will only be available for events that allow attendance by non-Members. This indicates whether your account should be billed for that attendees place. This is mainly there so that you can tell us if any of your Guests will pay for their own places. The default is checked (bill all attendees to your account). 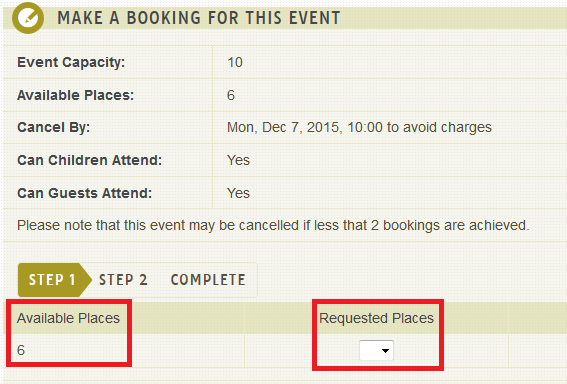 Simply uncheck that option where you want an attendee to be billed or charged themselves. This will show the table you selected at the previous step, but can be changed if preferred (depending on what other tables still have places available). This requires you to make a selection for each attendee. The selections will normally be food options, but could also relate to some other aspect of the event too. 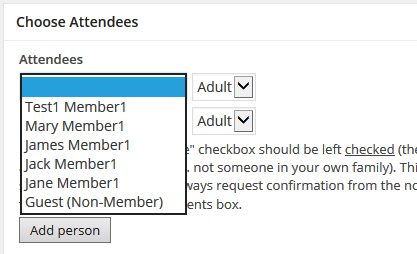 Simply select a different attendee from the dropdown list. Click the “x” on any attendee line to immediately remove that attendee from your booking and reduce the number of places booked by 1. Click the “ADD PERSON” button below your attendee list. If places are still available on the event an additional attendee line will then be added to your booking. Once all attendee information has been added and you have added any additional information you would like us to know in the Comment box, click “SAVE BOOKING AS COMPLETE” to let us know you are finished. We will then review your booking and follow-up with you directly if we need to discuss any details about your booking. 22. If you are not yet ready to mark your booking as complete you can choose “Save and Return Later”, but please try to complete your booking as soon as possible afterwards. 23. If you have chosen to be notified by email and/or SMS about your bookings you will receive a confirmation message each time you save your changes. 24. 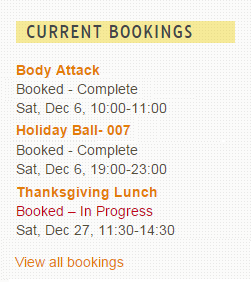 If you booking has not been completed within 7 days we will send you a reminder by email and/or SMS. 26. When logged in you can see a summary list of your family’s bookings in the “Current Bookings” section that shows on your “Account Dashboard” page, and some other pages within the site. Note that this lists bookings of all types by date (nearest at the top). The example below shows a Fitness Class booking, followed by 2 events – one that is already completed, and one that is still in the process of having attendee information added. Confirmation of your initial booking of the requested number of places. (Possibly) confirmation of changes having been made to your booking without it yet having been marked as “Complete”. (Possibly) a reminder to complete your booking if it has not been completed within 7 days. A final “booking complete” confirmation when all requested information has been entered and booking has been saved as “Complete”. A reminder of your booking 96 hours ahead of the event.